Today is the celebration of the 139th anniversary of Indian Arrival Day in my birthcountry Suriname, South America. Also celebrated in The Netherlands. 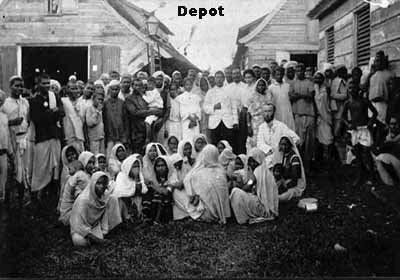 The Indian indenture system was an ongoing system of indenture by which thousands of Indians were transported to various colonies of European powers to provide labour for the (mainly sugar) plantations. It started from the end of slavery of African people in 1833 and continued until 1920. You can read about the history of this Indian Indenture System by clicking on Wikipedia. Today is a day to connect and share and be grateful for the offers our ancestors have made to give us, their offspring, a better life. I am the proud offspring of these brave women and men, who dared to cross Kaala Pani (Dark Water, Atlantic Ocean) in a steamboat for 3 months, not knowing where they were shipped to, but still were determinated to build a better life on the soil they would arrive. And they did!! We stand on their shoulders. I thank them for what they did and for my heritage from the bottom of my heart. ♥ Bara and Chutney are part of our heritage and have become part of our daily eating live. Bara Babe honours the spirit of the ancestors by making excellent quality bara and chutney and putting the lessons learned into action. Baithak gana (known as Chutney songs in Trinidad and Guyana) has also become a part of our Surinamese heritage, you can listen to songs by Radjoe Sewgolam and Ramdew Chaitoe by clicking on their names. You can see where it came from in Amir Khan’s Indian cinema movie Peepli Live, a very good quality movie released in 2010. 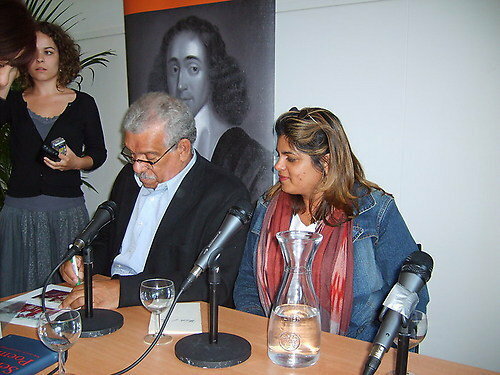 Bara Babe wishes you all an inspired day with the great, famous poem ‘Love after love’ of Nobelprize winner Derek Walcott ( born January 23th, 1930), born and raised in St. Lucia and fond of Indian heritage. Dit bericht werd geplaatst in Uncategorized en getagged 5 juni, baithak gana, bara, chutney, diaspora, Hindostaanse immigratie, Indian Arrival Day, Indian Diaspora, Lalla Rookh, Suriname door BB . Bookmark de permalink .